Michael and I grew up on the Texas Gulf Coast, so we've been seafood lovers our entire lives. My favorite food -- hand's down -- is seafood! Whether it's fish, crab, or wild-caught Gulf shrimp...seafood is always my first choice when planning a special meal. Here in San Antonio, the best place to purchase fresh seafood is Groomer's Seafood. Since the late 1800's, Groomer’s has been offering local cooks the best in fresh seafood. Through the generations, Groomer’s Seafood has stellar reputation. In fact, every month they move 250+ tons of fresh fish and seafood -- making them one of the largest fresh seafood suppliers in the entire country! Three generations of the Groomer family currently run the business, providing loyal customers a wide range of pristinely fresh in-season seafood. Groomer's recently provided me with a sampler of seafood items to do a bit of recipe development. Over the next few weeks, I'll be sharing a trio of recipes featuring extra-large wild Gulf shrimp and scallops. First up are my decadent Texas Crab Cakes with Cilantro-Lime Remoulade. 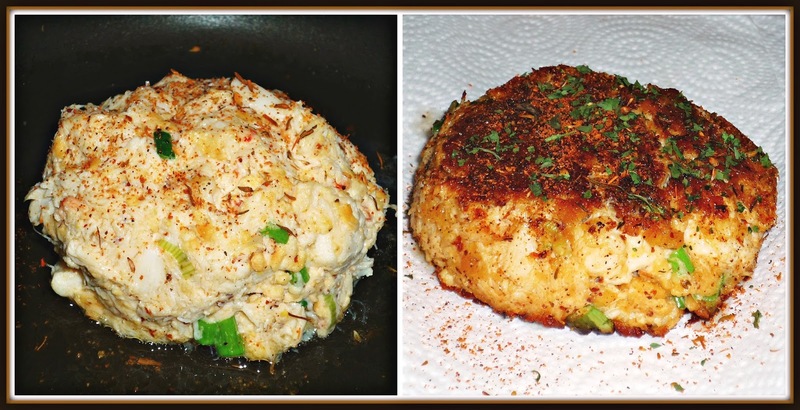 These crab cakes feature huge chunks of sweet jumbo lump crab and very little binder -- I wanted this high-end crab to be the star of the show! To accompany my crab cakes, I made a quick remoulade sauce flavored with cilantro and lime. 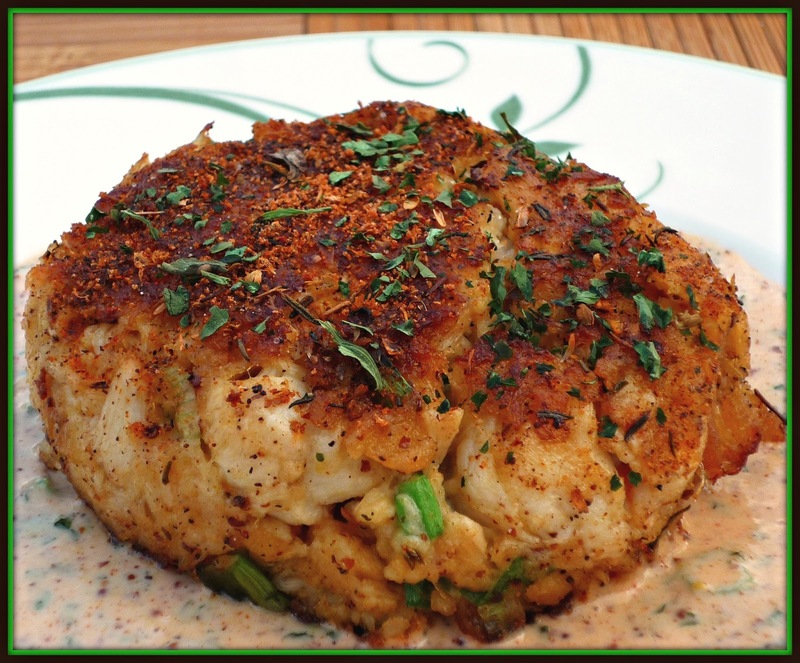 I'm not kidding when I say these crab cakes are over-the-top good...and perfect for any at-home Valentine's celebrations you might have planned! Hot sauce to taste -- I used approximately 1 tsp. Hot sauce to taste -- I used approximately 1 tbs. Step 1: Add the egg, mayo, mustard, juice of half a lime, hot sauce, Worcestershire, and Old Bay seasoning, and salt & pepper to a small mixing bowl. Use a small whisk to completely incorporate the ingredients into a smooth emulsion. Set aside. Step 2: Add the crab meat, green onion, and cracker crumbs to a large mixing bowl. Add the reserved wet ingredients an use a sturdy spoon to completely incorporate all of the ingredients. Be sure to combine the ingredients carefully so you don't break up the large lumps of crab too much. Use pristinely clean hands to form the mixture into six crab cakes. Refrigerate the crab cakes for at least 30 minutes -- but 1-2 hours is best if you have the time. Step 3: When the crab cakes have chilled, heat the olive oil in a large non-stick skillet over med-high heat for 5 minutes. Add the crab cakes and reduce the heat to medium. Cook the crab cakes for 4 minutes per side. The crab cakes will be golden-brown on each side. Place the cooked crab cakes on paper towels to remove any excess oil. 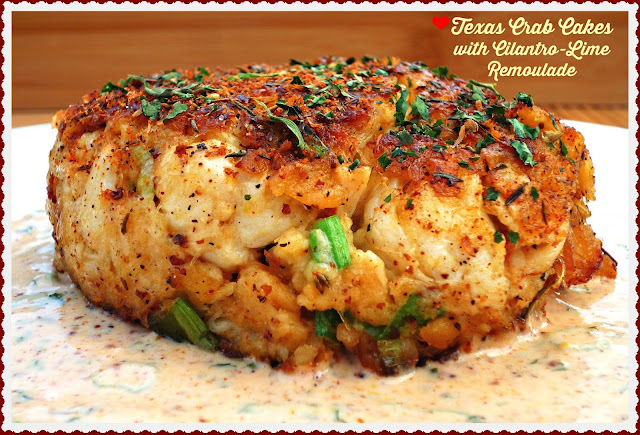 Just before serving, sprinkle the warm crab cakes with additional dried cilantro and Creole seasoning. Step 4: Make the remoulade by adding the mayo, ketchup, mustard, green onions, juice of half a lime, hot sauce, Creole seasoning, and dried cilantro to a small mixing bowl. Whisk until the ingredients are completely incorporated and a sauce forms. To serve, spread 2 tbs. 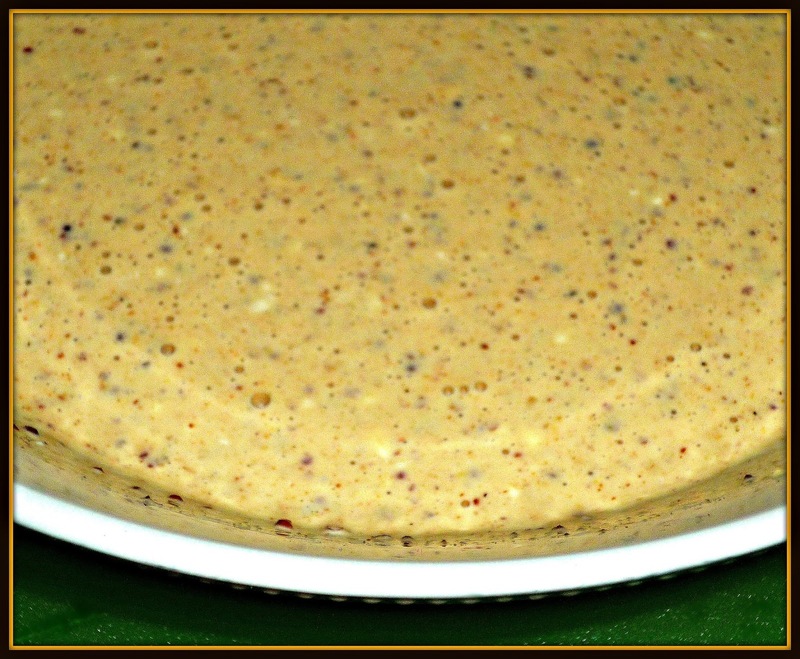 of the cilantro-lime remoulade in the center of a small serving plate. Top the remoulade with 1 or two warm crab cakes. 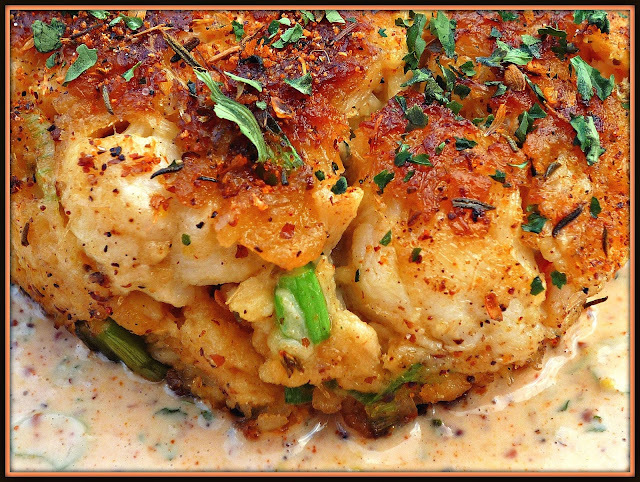 These crab cakes are definitely a splurge...but they are truly amazing! A crispy exterior gives way to a slightly creamy interior comprised of huge lumps of crab that have just enough binder to hold them together. Creole mustard, green onion, hot sauce, and Old Bay provide the perfect amount of seasoning that doesn't overwhelm the sweet crab. 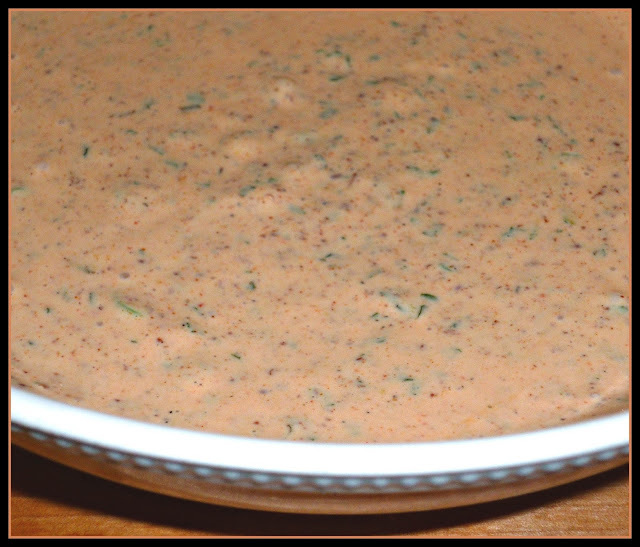 The homemade remoulade is tangy and spicy -- with a nice punch of cilantro. These crab cakes are definitely the star of the show, so I serve them with a simple Caesar salad and a loaf of warm garlic bread on the side. I was very impressed with the quality of the jumbo lump crab from Groomer's -- the lumps of crab meat were large, evenly sized, and pristinely fresh. Even if you don't live near a Groomer's location in San Antonio, Corpus Christi, or Austin, you can still purchase seafood from Groomer's -- because they ship seafood overnight nationwide! Whether you want to order fish, shellfish, specialty items...or even one of their seasonal seafood collections...they've got you covered. Orders placed by 2:00 pm CST are shipped the same day. After the 2:00 deadline, orders are shipped overnight the next business day. If you have any questions, simply e-mail Groomer's at fishmongers@groomerseafood.com. Disclosure: Groomer's Seafood provided me with a sampler of seafood items to facilitate recipe development. All opinions expressed are solely my own.